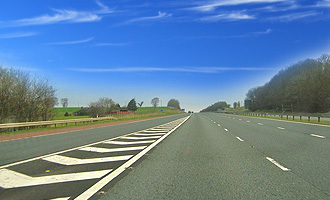 This section deals with multilane highways. We cover Joining a Motorway, Driving on a Motorway plus some extra information on Rules and Prctices to follow to stay safe while driving at high speeds. Don't drive along the hard shoulder.